Thai micro crabs (Limnopilos naiyanetri) are a fully aquatic crab species that truly lives up to its name: their carapace grows to a maximum size of around 1 cm (0.4 inch)! This makes them a perfect addition to nano tanks and very peaceful aquarium setups. Keep reading for everything you need to know about keeping Thai micro crabs. 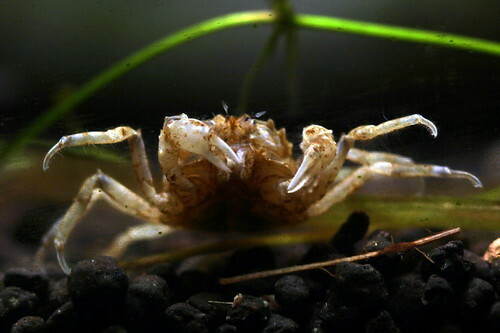 Thai micro crabs have a very limited natural distribution and are only found in a single river in Thailand, where they are said to inhabit the roots of floating plants. Unlike many other crab species, they are fully aquatic and never leave the water. Thai micro crabs are tiny brown-greyish crabs with a maximum carapace size of around 1 cm (0.4 inch) and long, thin legs. The entire body and especially the legs and claws are covered in small bristles, which are used to capture edible particles. Thai micro crab requirements are similar to those of some dwarf shrimp, so this extensive article about setting up a dwarf shrimp aquarium might be worth a read. Because of their size and low waste output, Thai micro crabs are a great choice for nano aquariums. Because they do need a properly cycled setup with high water quality, a filtered aquarium of at least 5 gallons (19L) is probably a good place to start and should provide the required stability. As with shrimp a densely planted and decorated aquarium is appreciated, because these crabs can be shy and need to have plenty of places to hide. Because they are naturally found in floating plant roots, it’s also recommended to add some of these; you can find a list of easy floating plants here. Including some driftwood is also a good idea, as it offers a place to forage and hide. When it comes to tankmates, keep in mind that Thai micro crabs are very peaceful and, most importantly, practically defenseless. This makes them suitable for only the most peaceful communities. Keep your Thai micro crabs in groups of at least five with other small invertebrates like cherry shrimp and very peaceful fish such as pygmy Corydoras and other small schooling species. As mentioned earlier, Thai micro crabs have small bristle-like hairs on their legs and claws. These setae come in handy in their natural habitat, where they live off the micro-organisms and other food particles floating around in plant roots. In the aquarium anything that makes a good place for micro-organisms to thrive, such as algae, plant roots and aquatic moss, will likely be appreciated as a foraging location. These crabs are omnivores and you can supplement their diet with all sorts of foods; try offering frozen foods (mosquito larvae etc.) as well as plant-based shrimp foods and other sinking pellets. Thai micro crabs are a very shy species and spend a lot of time motionlessly hiding in plants, although they will usually come out into the open when food is offered. As discussed earlier, these crabs are absolutely peaceful towards their own species and others. Like many other crabs, though, they can be escape artists, which means it’s a good idea to use a lid on your tank and keep the holes for equipment cords to go through as small as possible. Breeding Thai micro crabs is not an easy task by any means. Although there have been plenty of reports of breeding occuring, hobbyists have not been very succesful in raising the young thus far. Although there have been many reports of eggs hatching, the young tend to die after a few days and no one has figured out exactly why this happens yet, though this article suggests it may be due to premature release. Thai micro crabs have quickly been gaining popularity in the hobby and you should be able to find them with some effort. 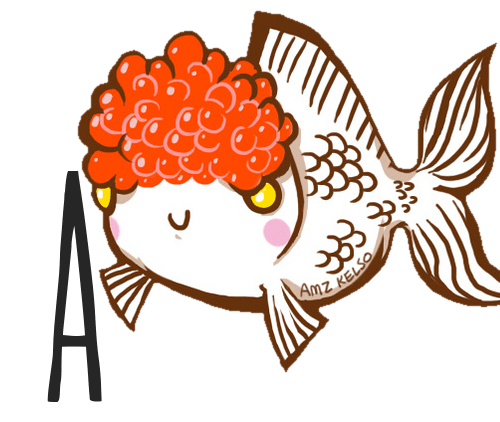 Some aquarium stores might carry or be able to order them. Your best bet, though, is probably to buy your Thai micro crabs online. You can buy Thai micro crabs online here! If you have any more questions about Thai micro crabs or want to share your own experiences with these tiny inverts, don’t hesitate to leave a comment below! Can I keep a pair of Thai Micro crabs with Cory Cats and Platies?